A new study shows that injuries to cheerleaders don’t happen often, but when they do occur they are usually serious. Researchers in Pediatrics found that only track and field and swimming were safer as far as the number of injuries to athletes, but because of the high risks of cheerleading stunts the injuries were often times dangerous. The most common injuries are concussions at 31 percent, but lower than all other girl sports. About one third of those injured, were participating again in a week. Forty-one percent of cheerleaders were out for one to two weeks. Eleven percent were out more than three weeks. Five percent were out for either the season or were career ending injuries. Most of the injuries were to girls, but boys also were injured because they were usually at the base of the formation. The Cook Children’s Emergency Department admitted six cheerleading injuries from Oct. 9, 2014 to July 28, 2015, a low number compared to a sport like football. But four of those six required surgery at Cook Children’s. 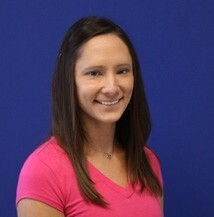 Amanda Vick, PT, DPT, a Cook Children’s SPORTS physical therapist, was a cheerleader in high school. She points to the focus of cheerleading become a year-round sport, including athletic competitions, summer camps and competitions, leading to the increase in the number of injuries. Plus, cheerleading has changed over the years to include high level gymnastic tumbling runs and stunts. Most common injuries seen at Cook Children’s are fractures, strains, sprains and concussions. She says more regulations could help lower the amount of injuries in cheerleading. Due to this change in the demands of cheerleading, it is important for coaches and cheerleaders to understand proper techniques during stunts and tumbling, strengthening, leg and arm alignment, core activation and different risks related to floor surface and practice time. Read more on Vick’s advice to protect cheerleaders here. 2, 4, 6, 8 ... if it hurts, cheerleaders ... Take a break!